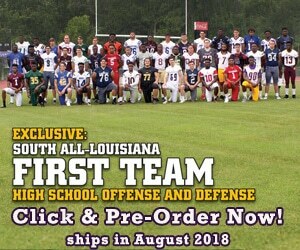 February 16, 2012 – 2011 was the first year that Johnell Celistan played football for Hahnville High School coming out from the High School Track team. In just one year this kid looked DI, and in two more years of football in college he could develop into a really good Cornerback or Safety. This kid has the speed to play any Defensive Back role in college. Since the video was made, Celistan has signed with the University of Tulsa.